Confirm your reservations a minimum of 48hrs prior to service. There is only one way for you to know your reservations are correct, especially if you did not make reservations directly with a Karmel Shuttle agent. We strongly urge you to confirm your reservations 48 hours prior to service! Confirm your reservations ONLINE! confirm...click here!. Enter your confirmation number or travel agent issued booking number. If you provided your cell number or email when placing your reservation, look for a text or email with our READY TO GO link. Click READY TO GO, once you have all luggage in hand. Dispatch will alert you back with a van # and instruct you were to stand to meet your driver. The wait time for your driver may range from 5 minutes to 30 minutes depending on airport traffic, security, weather or flight delays. MISSED YOUR CONNECTING FLIGHT? You MUST call us to inform us of any changes in your flight information. We only monitor the original flight provided to us. If you fail to contact us, and a driver is sent for your original flight, it will be considered a NO CALL NO SHOW and full charges will apply. Upon cruise ship arrival, gather all luggage and clear customs. Dispatch will instruct you where to stand and what vehicle # will be pulling up for you. Cruise Ship pick-ups are scheduled for 9:30am. Should you be later than 9:30-10:00am you MUST call 1-888-995-7433 to inform us of your delay. No phone call to us to inform us of your delay will result in a NO SHOW and full charges will apply. Reservation changes – Changes to an existing reservation MUST be made 24 hours prior to scheduled service time by calling 1-888-995-7433 or 714-670-3480. Within 24 hours we cannot guarantee vehicle availability. Flight changes must be phoned into our office. Cancellations – MUST be made 12 hours or more prior to scheduled service time. Call 1-888-995-7433 or 714-670-3480. Cancellations within 12 hours of service will be charged the full amount for that service. A la llegada del vuelo, inmediatamente recoger todo el equipaje y luego llame gratis desde cualquier teléfono público o usando su teléfono celular al 1-888-995-7433. (no se requiere dinero para usar un teléfono público con nuestro peaje libre #) Proporcionar su número de confirmación o el apellido en la reserva. Despacho le instruirá dónde pararse y qué vehículo # va estar tirando hacia arriba para ti. Una vez que se llama, el tiempo de espera para su conductor puede variar desde 5 minutos a 30 minutos dependiendo del tráfico, seguridad, clima o vuelo retrasos en aeropuerto. Instrucciones de Llegada del Vuelo! 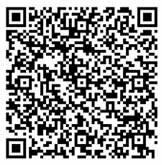 SCAN this code with your Smart Phone instantly store Karmel Shuttle’s Contact information in your contacts.